August, draped in excess, ripens into a rosy blush as she parades her finery. Especially beautiful, the tomatoes. Slapping mint before using in cocktails extracts the oils adding additional minty flavor to the drink. 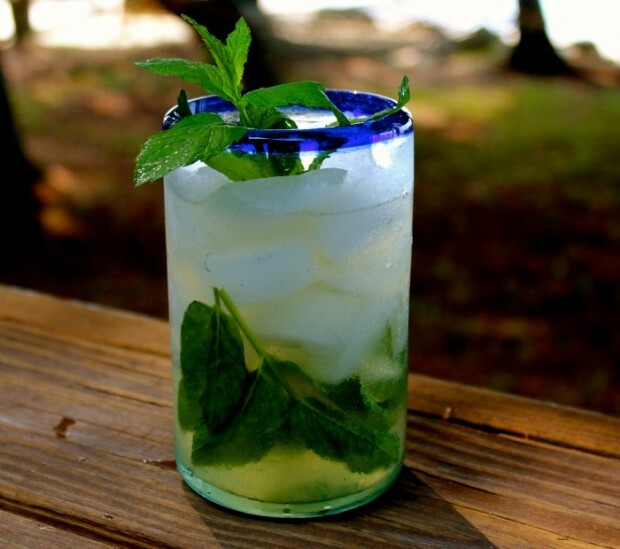 If the mint isn’t muddled, place the leaves or sprig in one hand and smack it with the other. I’ve put together three summer tomato slideshows from previous blogs–Appetizers and Soups, Sides and Salads, and Main Events– that utilize this bounty in some fashion that may inspire. . The following recipe was inspired by a recent recipe I found in Traverse, My North magazine. I infused the simple syrup with rose petals (that I strained out); it added a bit of floral bouquet but, perhaps, not worth the fuss. Slap mint then place in the bottom of a Collins glass. Fill with ice. Muddle cucumber in the bottom of a shaker. Add gin, St. Germain, lime juice and simple syrup. Shake then strain into Collins glass. Serve.